Focus on the Latte Factor? Or Sweat the Big Stuff? One of the things we see a lot in the world of finances is the recommendation to focus on the small things. It’s about pinching pennies in a lot of cases. David Bach’s “Latte Factor” is one of the strategies that people look to in order to save money and get ahead. The idea is that cutting out your daily cup of coffee, or some other small expense, can add up to saving thousands — or even hundreds of thousands — of dollars over your lifetime. If you forgo some of the simple pleasures that cost you $100 a month ($5/day, 5 days a week), that really could start to add up over time. But is that really the way to get rich? Can you really achieve financial freedom simply by saving $5 a day? And, instead of focusing on the small things, could you do better by sweating the big stuff? 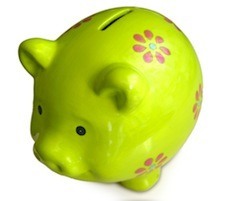 It’s not uncommon to find people going to a great deal of effort in order to save a small amount of money. But, what if that same effort were applied to saving a larger amount of money, rather than pinching pennies? Insurance: Your insurance premiums might be weighing on your finances. Look at your coverage, and look at your deductible. Higher deductibles on my home, auto, and health (yes, I’m American, so this is a big one for me) insurance policies save me $500 a month. I see no reason to forgo some of my smaller pleasures, especially since I can spend my $5 a day for something I really enjoy, and still save an extra $400 a month — just by adjusting my deductibles. Of course, it helps to have an emergency fund that can handle your deductible before you make this change. Refinance: I’ve been slow to refinance my home because we’re always on the verge of moving. However, a no-cost re-fi could be just what I’m looking for. Especially since I could save about $250 a month with a lower interest rate and payment. Reconsider subscriptions: You don’t have to cut cable completely. But do you need the fancy movie channels? Think about how often you use them. Could you do better with a basic cable package and Hulu or Netflix? Transportation: This isn’t feasible for everyone. But think about how much superfluous cars are costing you. From car payments, to repairs and maintenance, to fuel, cars are expensive. Does it make sense to use more public transportation? Think about your biggest regular expenses, and look for ways to cut those. Rather than nitpicking, you can see substantial savings with strategic financial planning moves. Do You Have to Give Up Your Simple Pleasures? One of the biggest issues I have with strategies that involve penny pinching and cutting out the small things is that it leads to cutting out the simple pleasures in life. I like to buy a book or two each month. If I’m out and about, I like to stop for a pastry. Cutting these simple pleasures out of my budget just seems to set me up for feeling deprived. Sure, I can save a few more bucks each month. But I really like spending money on some of that small stuff. One of the reasons that it can be hard to stick to a budget is due to the fact that, after a while, it can start to feel like a bummer. Always counting pennies and refusing to buy the things that you like, just for the sake of saving $3-$5, starts to get old, real fast. For me, it’s easier to lock in bigger savings by sweating the big stuff, or look for ways to earn more money, than it is to constantly be on the lookout for opportunities to pinch pennies. While you probably do need to cut some items out of your budget in order to succeed, and you do need to change some of your financial habits, that doesn’t mean that you need to stop spending money on all your favorite things in order to build your wealth. Prioritize your spending so that you are paying for things that most interest you, and cutting out the less expensive items. And look at your recurring costs to find out if there are ways to cut out some of those bigger costs. If you can cut big in one area, you might not have to give up your daily coffee. One thing that drives me nuts about some people is they drive all over the place looking to save a few cents on gas or groceries, but they can’t be bothered to take a few minutes to review their recurring bills, compare mortgage and insurance rates, or switch banks. 2 lattes a day will add up fast. It’s not that I’m cheap. Really. I told the kid this – Given the choice between a $25 dinner (say a pub serving burgers) vs a higher end restaurant where I can get a meal I can’t make myself, but would cost $75 for the three of us, I’ll choose the $75 meal. Whatever is going on in my brain, the idea of paying for a mean I can make myself is worse than paying far more money for an experience I’ll enjoy. Just an example of the financial picking and choosing. Nice article, Miranda. I am 58, my wife 51. If there is something small and a really, really enjoy it, I will buy it. If there is moderate enjoyment, then forget it. So, step on is triage your enjoyments. Step two is, as noted, transportation. My wife and I as a couple, and as singles before we were married, have spent a grand total of ~ $45,000 on cars in **our lives***. That is cumulative. We aren’t rich, but are doing OK. That car thing is a killer. I sweat the big AND small stuff. The Wife and I have: refinanced our house and our reantal properties, switched cable, phone and gas providers, always pay Credit card bills on time and in full. To avoid impulse buys, I do my darndest to never break a $20.00 bill in my wallet. Never buy lunch out at work, etc. The only “treat” I provide myself is spending money on my one and only hobby. Vintage Guitar buying. The guitars in-and-of-themselves are investments and I love playing them. I certainly do not feel deprived and our bank account is quite healthy thank-you-very-much. Bottom line is: you need a certain level of discipline for the long-haul…a rare trait in the modern age of instant gratification and entitlement. One of the biggest things to sweat is the economic cycle. One example is buying a house. As the 25% of homeowners whose mortgages are underwater will attest, buying a house at the top of the market is ruinous. But, buy exactly the same house in a recession, or as the recovery starts, that covers all the lattes you could drink in your lifetime in one single move. And it’s not hard. The cycle is actually fairly predictable: in our lifetime we’ve had a recession every 7-10 years, almost like clockwork. So you never need to wait all that long. But what a difference it makes!